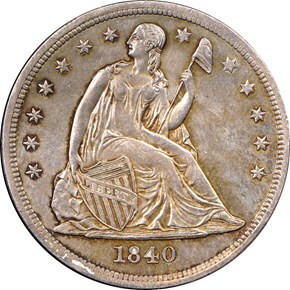 Although relatively obtainable in grades at or below the VF level, the 1840 is a challenging coin to locate in XF, AU, and Mint State. 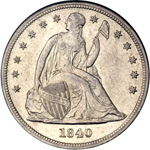 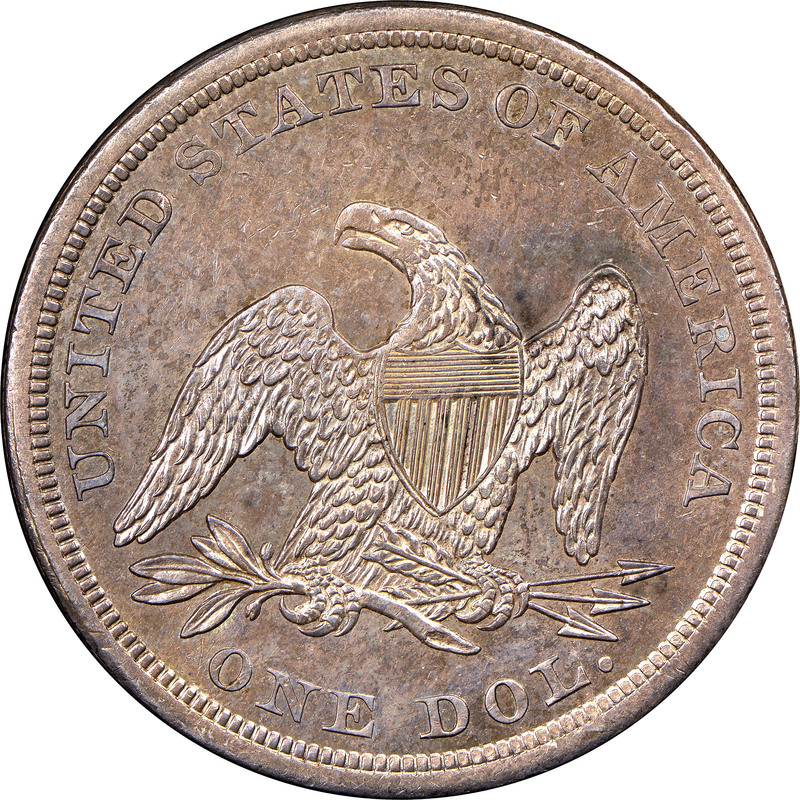 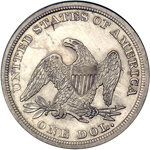 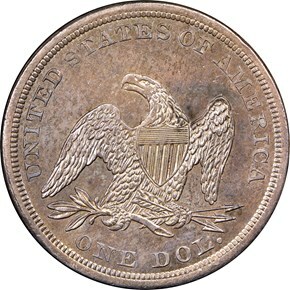 While many first-year issues from later series (1909 VDB Lincoln Cents, 1883 No CENTS Liberty Nickel, to name just two examples) were saved by the public at the time of issue, fate was not so kind to the 1840 Seated Dollar. 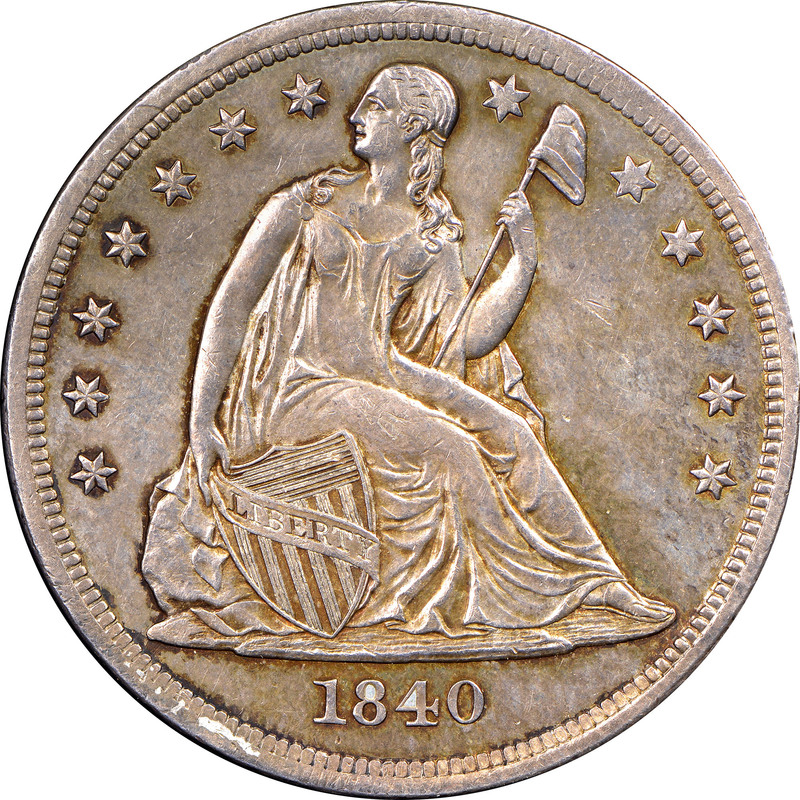 The small number of collectors who were active in the 1840s, as well as the economic pressures of the Hard Times, seem to explain the conditionally challenging status of this date.